Manila, Philippines - Senate President Franklin M. Drilon today urged the Department of Budget and Management (DBM) to release all documents, including pertinent Special Allotment Release Orders (SAROs), pertaining to the Disbursement Acceleration Program (DAP) funds which were availed of by lawmakers. "The records are with the DBM and Secretary Florencio Abad said that the DBM is conducting a thorough research on the matter. Upon the completion of its report, the DBM should release them for the sake of transparency," said Drilon. "These are public records and it is only right that the public be given access to these documents so that they can scrutinize and find out if public funds were indeed put for public use," he stressed. The Senate President likewise reiterated his earlier call for the Commission on Audit (COA) to conduct a comprehensive audit of the DAP, and investigate if there were red flags in the implementation. He said that a COA full-blown audit would find out if DAP funds were misspent. "The COA should heed calls for a complete audit of DAP. 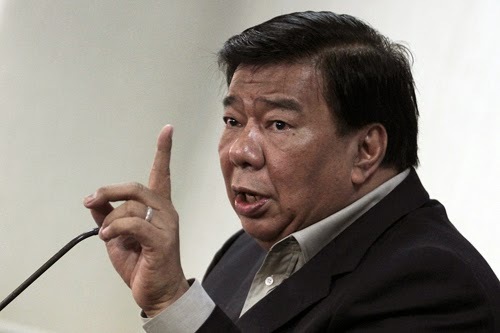 Only a COA report would dispel fears that these funds were used for personal gains," said Drilon. On July 1, the Supreme Court (SC) declared the presidential pork barrel, known as DAP unconstitutional due to the following reasons: 1) the withdrawal of unobligated allotments from the implementing agencies and the declaration of the withdrawn unobligated allotments and unreleased appropriations as savings prior to the end of the fiscal year and without complying with the statutory definition of savings contained in the General Appropriations Act; 2) cross-border transfers of savings of the executive department to offices outside the executive department and 3) unding of projects, activities, programs not covered by appropriations in the General Appropriations Act. Two weeks after, the president aired on national television his statements to defend DAP. In addition, PNoy instructed the DBM to release the official list of projects funded through the DAP.